One of the most popular women in New Orleans history, Marie Laveau, voodoo queen, is also one of the least understood. Myths about her life and death. In fact, there is disagreement even as to where and how she died and where she is buried. From the writing of local historians two Marie Laveaus emerge; one is a free woman of color born in New Orleans in the mid 1790's. The other is a woman considerably younger than the first and believed to have been the elder Marie's illegitimate daughter. 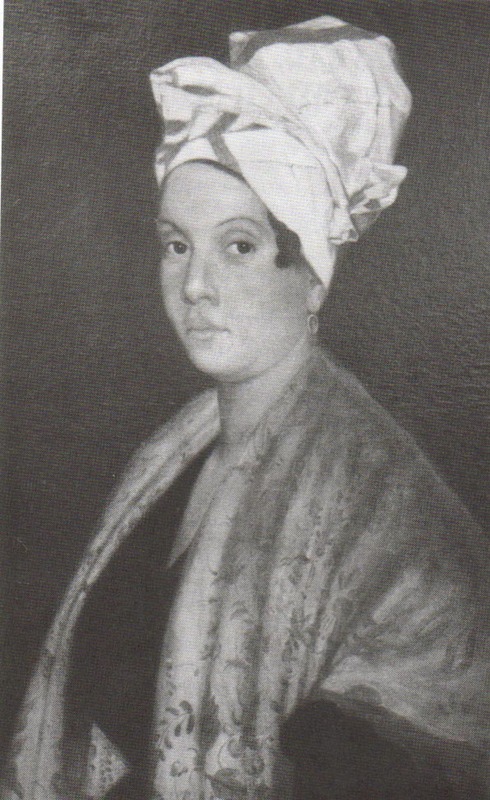 The first Marie Laveau married Jacques Paris, carpenter and free man of color in 1819. Several years later she was calling herself widow Paris, although Jacques Paris did not die for a few more years. Meanwhile, she is known to have lived with Christophe Glapion who migrated from Santo Domingo, also a free man of color. Reportedly they had fifteen children. In 1827 a daughter was born, named Marie Laveau Paris (carrying her mother's widowed name). Her father is unknown. Marie Laveau and her daughter were said to look remarkably alike, with regal bearing, black curly hair, golden skin, and a penetrating look in their eyes. Both were quadroons and worked as hairdressers for a trade. They both also reportedly performed voodoo rituals and dispensed voodoo curses and cures. As the elder Marie Laveau began to fade from the voodoo scene in pre-Civil War New Orleans, her daughter is believed to have stepped in and taken over as voodoo queen. Since the daughter looked and acted so much like her mother, people who didn't know about the relationship believed that Marie Laveau had magical powers of eternal youthfulness. It would be the daughter who was the famed magical woman ruling over voodoo ceremonies during their hey day in New Orleans in the 1850s. When the elder Marie Laveau died in 1881, the younger Laveau was fifty-four years old and soon thereafter dropped from sight. Her death is given as 1890. The tomb of the elder Marie Laveau is supposedly located in St. Louis Cemetery #1 on Basin Street in the vault of "Famille Veuvee Paris nee Laveau." 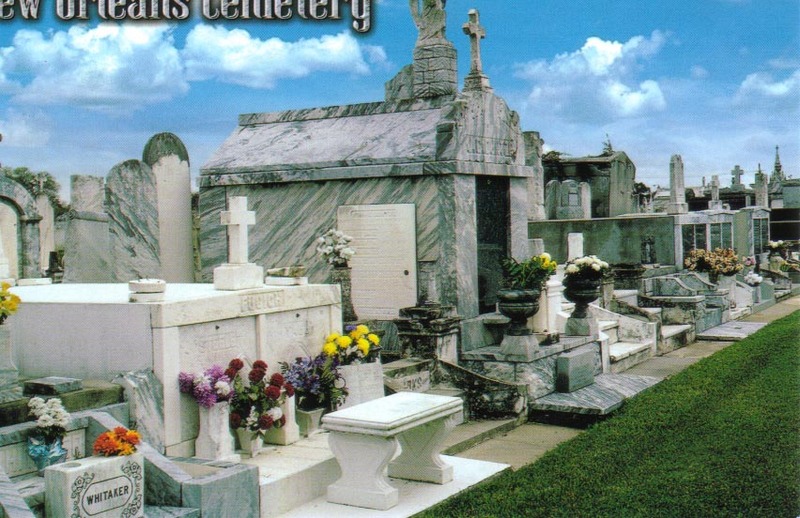 People today still place flowers there and mark x's in chalk on the vault as assurance of favors to be granted.The tomb of Marie Laveau the second is given as in St. Louis Cemetery #2 on Iberville Street in the vault of the Desdunes family. A few years ago black historians researching the issue placed her in a different tomb a few feet away under the name Mrs. Charles Laveau. There are countless stories about the power of Marie Laveau as a voodoo queen, sorceress, healer, and psychic, but none of these are documented historically. Voodoo, brought to New Orleans by African slaves and immigrants from Santo Domingo and Haiti, has been practiced since the 1700s. Even today some people have voodoo altars in their homes and participate in voodoo rituals. The voodoo queen, unlike the voodoo doctor (male) was in charge of ceremonies and dances in the 1800s and held a powerful position in black, quadroon and white society because of her reputed ability to use the occult. The profession of hairdresser gave both Marie Laveaus access to the private lives and secrets of the women's hair and dispensing ample advice. Some of the Laveau magic may have been common sense and homespun psychology. In time the name of Marie Laveau became distorted. Mothers threatened their children that she would put a curse on those who didn't behave. She was thought of as an evil witch, capable of causing unimaginable trouble. But there are also reports of her as a nurse. Others mention that small children went to her home every Saturday morning for the brown sugar sticks she would hand out. When Marie Laveau discontinued voodoo after the Civil War, Malvina Latour took over as New Orleans voodoo queen for another twenty years, but she never gained the notoriety of her predecessor. The cult began to disintegrate, and in the past ninety years there has been no acknowledged queen. Whatever the truth may be about Marie Laveau, the concept remains of a strong, independent woman who earned the fear and respect of an entire city.